It has been more than a month since the wedding of Priyanka Chopra and Nick Jonas took the internet by a storm but we are still not over it. 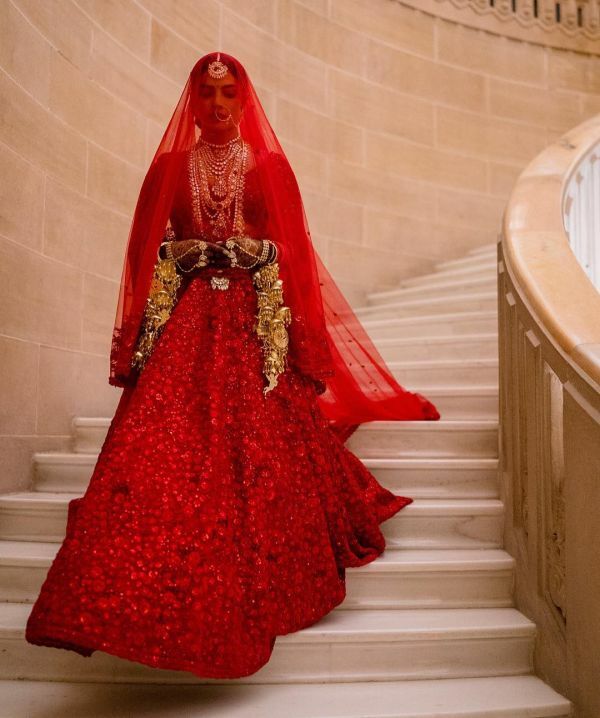 Right from the bride's 11000 swarovski encrusted gown to Nick jonas's wiping away a stealth tear as he saw his bride walking down the aisle, everything about the wedding was oh-so-romantic. But it was the little details that made the wedding such an unforgettable affair. Now Priyanka's stylist Ami Patel has revealed a new detail about her stunning outfit that is making us emotional. 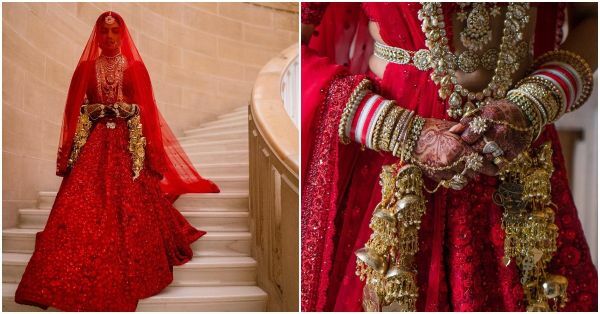 According to Ami, Priyanka got her kaliras customised to tell her incredible love story with Nick. The kaliras, designed by Mrinalini Chandra, had the signature NP logo and icons that perfectly reflected the couple's journey. From a symbol from Greece where Nick proposed Priyanka to a cupid and from a cross symbolising Nick's faith to a trishul depicting Priyanka's religion, the kaliras were a perfect souvenir to the couple so madly in love with one another. The kaliras also had a punch of humour with an engraved silhouette of the couple and their favourite character from the Beauty and the Beast, Mr. Chip Potts. Isn't that just so cute? 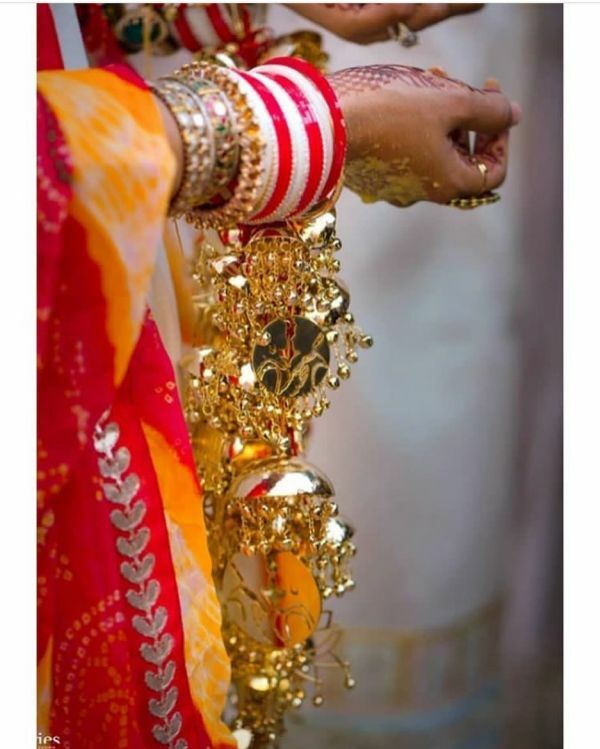 It isn’t the first time that a bride had customised her kaliras for the wedding. But it was much expected from Priyanka, who has never failed to wow us with her statement making style. Nick and Priyanka got married on 1st December 2018 in a two-day long ceremony at Umaid Bhawan Palace in Jodhpur, Rajasthan. 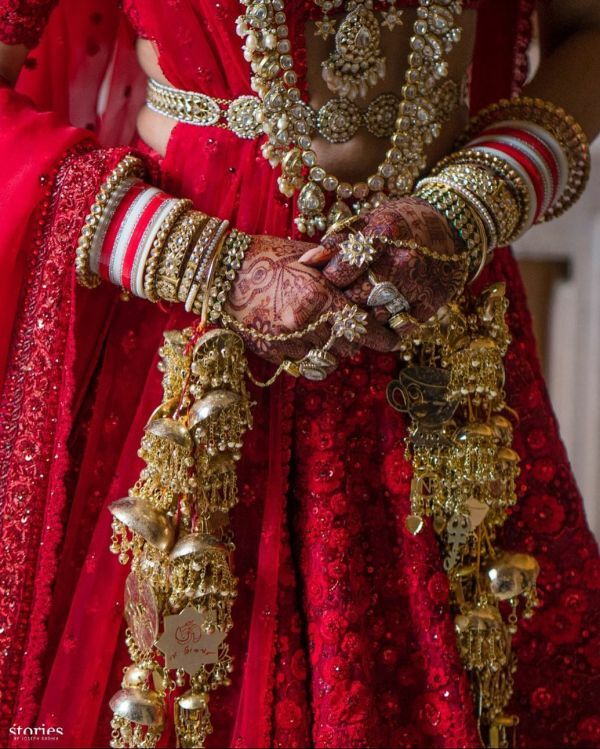 They first exchanged vows in a Christian ceremony and then tied the knot in a traditional Hindu ceremony. Their wedding was one of the most talked about weddings of 2018. A few days ago, a video of the making of Priyanka's Ralph Lauren gown was shared on the social media and garnered much attention.